A moving story on how problem gambling affects children. It's a problem affecting half a million Aussies, but it's their loved ones who bear the brunt. It’s not an easy story to tell, but it has to be told. 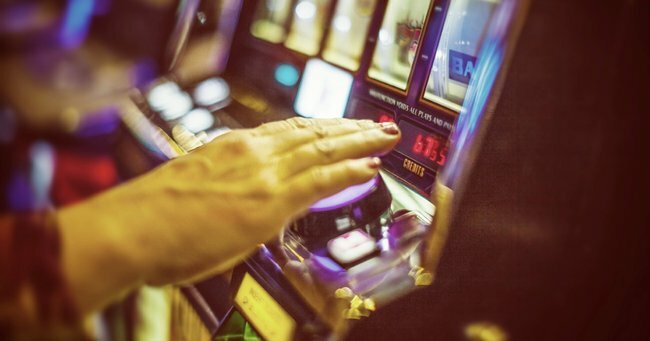 Like most of us, I’d heard stories about people with extreme gambling habits – but I’d never really understood what it was like to be stuck in that situation. Until I was asked to interview Deb McLaughlin. Deb grew up with a mother with a gambling problem. As she told me her story my heart broke for her and the countless others like her. They are the people – often, children – who are left to deal with the fallout of a serious gambling problem. Who can they talk to? How can they get help when they aren’t the one with the problem? Today, Deb is sharing her story so that she can help others in a similar situation. A: My mum was a gambler for over 10 years when I was growing up. It started out as something positive – she won money to help us pay for school. But it quickly turned bad and soon she was there all the time. Q. When did you realise it had become a problem? A: All the women in our street would go to the pokies – they were almost boasting about how long they could stay there. 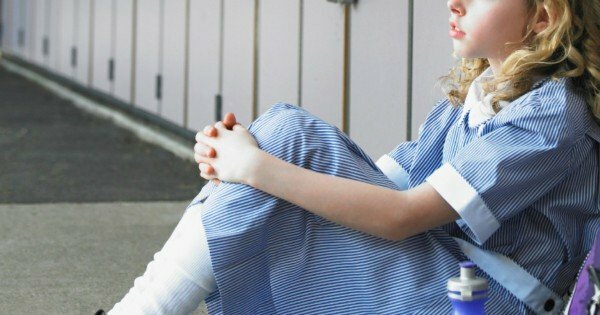 It wasn’t until my sister left school and got a job that we realised there was a problem. My mum was constantly asking for money. Q: Tell me about some of the struggles you faced. A: I was at home alone a lot – my sister and dad worked shift work and mum was at the pokies. I was still a teenager and I was fending for myself. Looking back now, I realise how scared I was. I tried ringing my sister and had many tearful conversations with her. I was so lonely. Even on the rare occasions that mum was home she was sulking about not being at the pokies. “It quickly turned bad and soon she was there all the time.” Image via iStock. Q: How did you cope with the situation? Who did you turn to? A: I was too scared to call any helpline. I was worried they would take my name and details and someone would find out. I wish I knew that helplines could be anonymous. The only people I had were my sister, and I also spent time with a friend who was in a similar situation to myself. Q: Do you feel that the family members of those with gambling problems are often forgotten about? A: Definitely. It affects everyone around them. When my mum eventually [got help] I told her I was so proud, but we were told not to talk about it because she did not want to jinx it. We tried so hard but no one wants to hear your story, they want to talk to the one with the problem. Q: What does it feel like as a child in this situation? A: It was 10 years for us before my mum sought help. As a 16-year-old I was so worried about money and everything – as an adult I realise now these are things kids don’t need to worry about. We just got forgotten. I don’t know if anybody who helped her told her to talk to her kids, but she never did. Even now it’s hard to discuss the situation with her, and that really hurts. Q: What advice can you offer someone who may be a family member of someone with a gambling problem? A: The only advice I can offer is the advice I wish someone had told me: one day, it will end, you will grow up, you get to have a life outside of this. I want people to know they have options, there are helplines they can call and there are people you can talk to. You are going to have some good days and some hard days – it’s a tough road, but you’ll get there. Do you know someone who has been affected by problem gambling?